« The mobile web isn't dead. It's just starting. 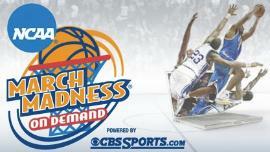 No surprise here, unless of course you were a Memphis fan, but CBS’ online March Madness on Demand was a big hit. CBS said it had 4.8 million unique visitors throughout the three-week tournament, a 164 percent increase over 1.8 million uniques in 2007. Of course, that’s apples and oranges: This was the first year CBS made the entire NCAA men’s basketball tournament available from start to finish. As you might figure, interest in the tournament was greater at the start, when 64, then 32, then 16 teams were involved, expanding the number of fans who might tune in via the Web. The busiest time was during business hours, when people did not have access to a television and the boss was out of earshot. CBS has not said anything officially about the profitability of March Madness on Demand, but a spokesman got in touch with the folks at NewTeeVee to say it estimates revenues at $23 million, up from an earlier prediction of $21 million. All in all, not bad for CBS, the NCAA, and tournament winner Kansas. Memphis, however, may see it a bit differently.